As you are planning your upcoming event, you feel it is very important to hire a photographer to be able to capture the important moments in professional quality pictures. But did you know that every moment that takes place at your event is important and worth capturing? Hiring a photographer is a great idea for your event, but it becomes a brilliant idea when you enhance it by adding a photo booth or two for your guests. A photographer is used to milling around your event to capture images that will really help your guests to remember that day. But as talented as the photographer you hired may be, it is impossible for them to be at every moment. When you put photo booths out for your guests, you are inviting your guests to capture those moments the photographers could not catch. Not only that, but a photo booth gives your guests a chance to capture high quality images that can be shared through email or social media. A photographer is going to get a reaction when they point their camera at your guests and tell your guests to smile. But a photo booth that offers picture props, easy-to-use editing software, and a green screen background is going to elicit works of art that the photographer would never inspire. There is nothing wrong with your photographer at all. It is just that people, when giving their own tools to work with, find a whole different type of inspiration. Face Place photo booths give your event attendees the chance to email their pictures to people, or post their pictures on social media. A photographer, unfortunately, is not going to be able to offer those options to your guests on the spot. 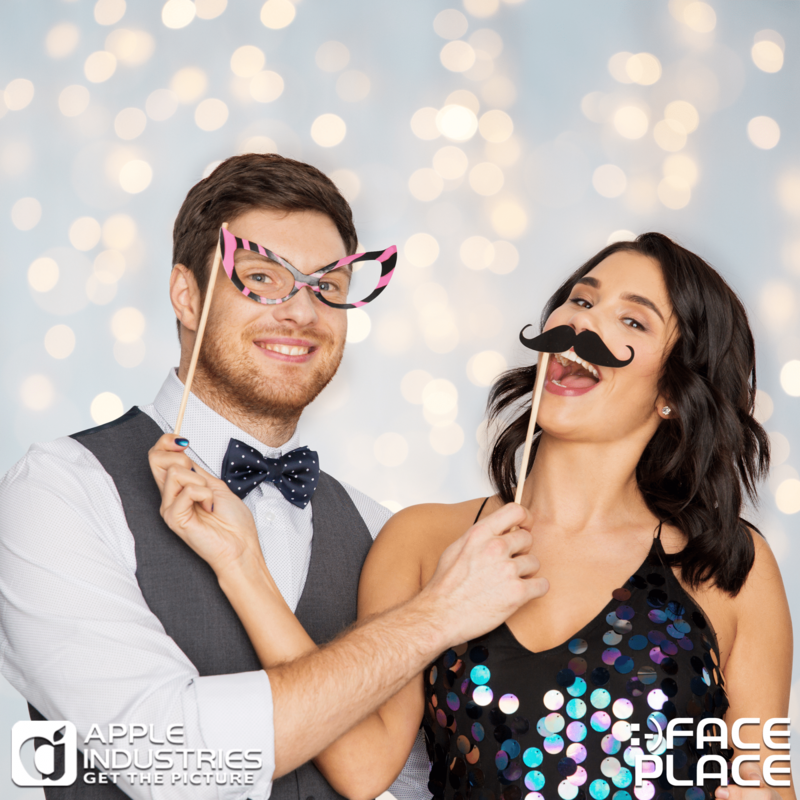 Did you know that you can order t-shirts or coffee mugs printed with your photo booth image when you use Face Place photo booths? This is another feature a photographer is not going to be able to offer, yet it could be one of the more memorable parts of your event. Face Place photo booths have options to allow you to have your pictures printed on various novelty items and shipped to your home. This is a great way for your guests to remember your event for many years to come, and be able to remind others of your event as well. When you are planning an event, hiring a photographer is only half of what needs to be done. If you include a photo booth or two with your event, you will get images of the party from your attendees’ perspectives. Whether the pictures are posted on social media or printed on t-shirts, a photo booth will give your guests plenty of unique ways to remember your event.